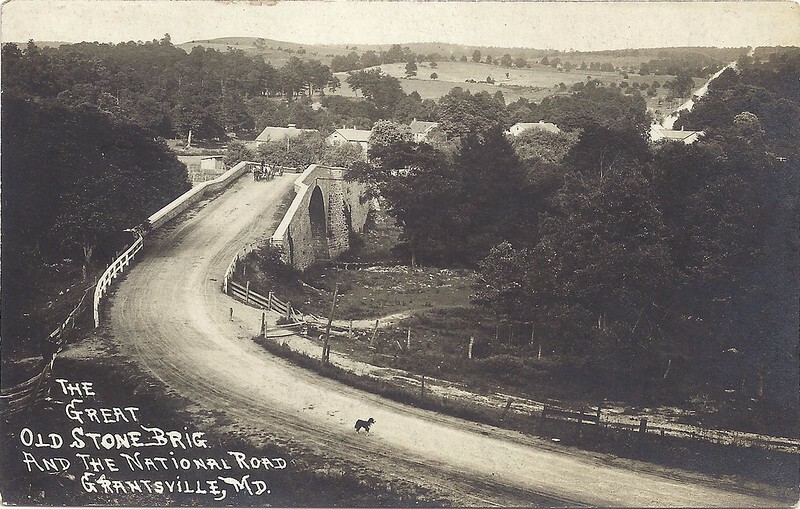 Today, driving along US Route 40 in Garrett County, Maryland, it’s hard to miss the multitude of historic structures: inns, taverns, and log cabins built in the 1700s and 1800s still proudly stand along the road, a testament to the rich history that has followed this route for centuries. It was once known as Nemacolin’s Path, an ancient Indian trail. George Washington famously traveled it in 1755 with Virginia militia and British troops under General Braddock in the French and Indian War. He later advocated the route’s development as a road, while President in the 1780s. In 1806 Congress gave authorization to build the National Road along this route, under the Presidency of Thomas Jefferson. Construction on the nation’s first federally funded road began in 1813. For details on the CRB bicentennial celebration: Click here. 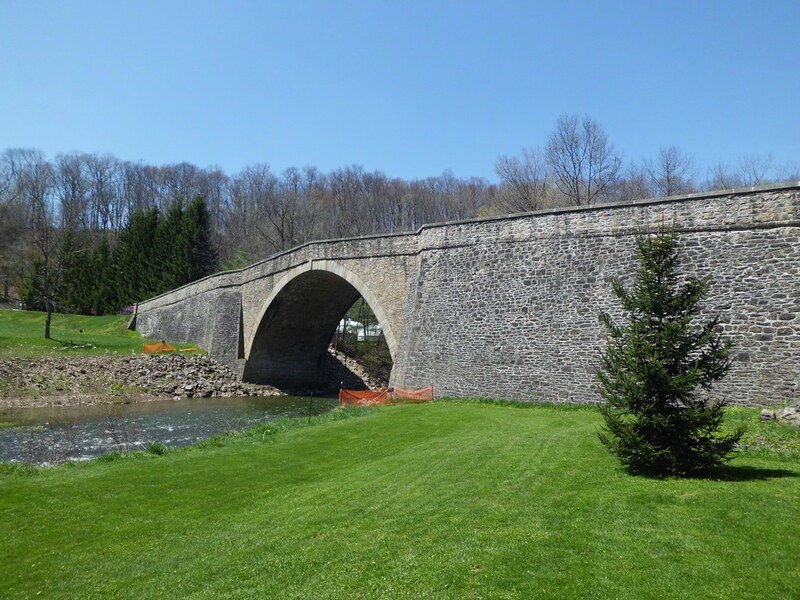 For more information, or to visit the Casselman River Bridge State Park, see the Maryland DNR Casselman River Bridge webpage. 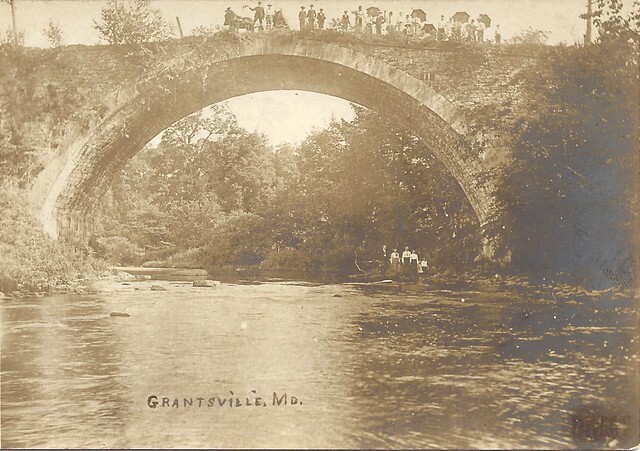 “The Great Stone Arch Bridge and the National Road. Grantsville, Md,” 1920, Photo by Leo Beachy From the Collection of Albert and Angela Feldstein. From the Collection of Albert and Angela Feldstein, date unknown. « Traveling 219 August Van Tour!